The tomb is built into the side of a hill. The entranceway is deep and roofed by two enormous blocks, or lintels. The innermost of the two is believe to weigh about 120 tons. 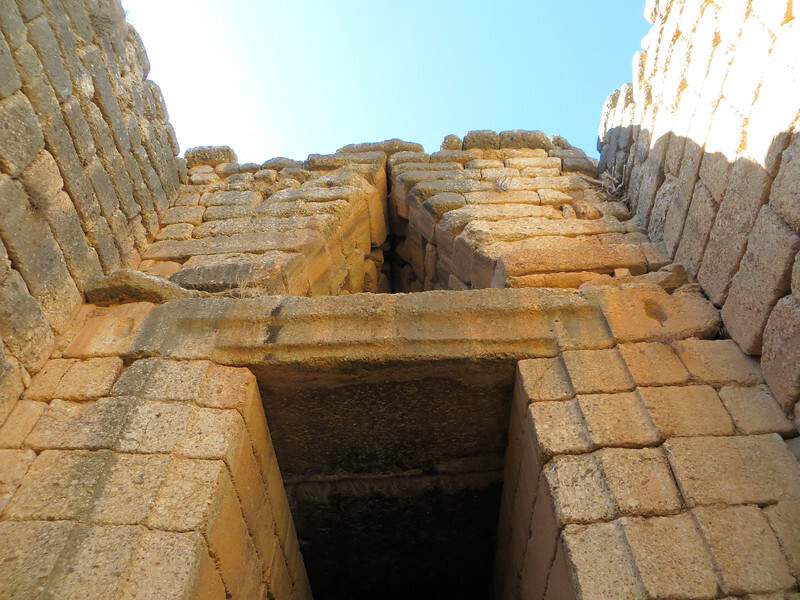 Above the lintel we can see a "relieving triangle" like the one on the Lion Gate.